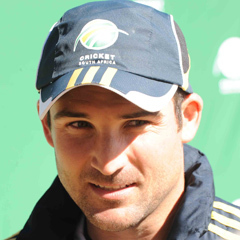 Cape Town - Dean Elgar says he can slot into any role within the batting line-up if he is called upon in the current Test series between Australia and South Africa (SA). Elgar is the like-for-like replacement for the injured JP Duminy, and despite predominantly batting at the top of the order, feels he can make a contribution wherever he is needed. “I don’t think there will be a problem with that,” Dean said about adapting to different roles. “ I think it’s a mindset change, I think if the nod comes for me to play in Adelaide then by all means I will be able to contribute. He has had good past encounters with some of the Australians, and bravely faced an impressive attack featuring Mitchell Johnson, Peter Siddle and Shane Watson during a tour match in Potchefstroom in November last year, where he scored 47 against a venomous new ball on a lively pitch. Elgar has been a consistent feature in Cricket South Africa’s (CSA) High Performance Programme over the last five years, often dominating with the bat in both the shorter and longer formats. He has made a deserving journey up CSA’s pipeline with a credible list of achievements including: captaining the SA Schools side and SA U19, scoring 759 runs in four 50-over matches for SA A against Sri Lanka A and making his ODI debut against England in Cardiff earlier this year. His healthy first-class average of just under 45 with 5326 runs makes out a compelling case for his place in the squad, add to that a decent arsenal of slow left arm spin and you have a valuable asset for the future. Even if he doesn’t feature in the current Test series, Elgar remains an exciting prospect, as he continues to plot his international career with Test cricket being the pinnacle for him.